The Pittsburgh Concert Society provides a recital performance opportunity and financial support to talented classical musicians — an opportunity found in few American cities. Recitalists are chosen through auditions in Pittsburgh, Pennsylvania, arranged by Pittsburgh Concert Society, and judged by an independent adjudicator from another area of the country. 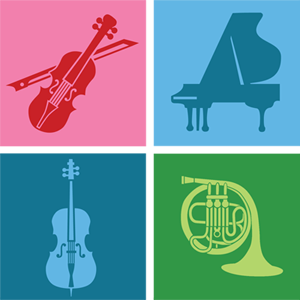 Individuals or small ensembles, such as string quartet, piano trio, or percussion ensemble may audition. Applications are accepted online or through US Mail from November 1, 2018 through February 15, 2019. Applications are accepted online or through US Mail from January 15 through March 22, 2019.. The Pittsburgh Concert Society reserves the right to limit the number of Young Artists applicants to 35 and the Major Auditions applicants to 40, in the order the applications are received. Additional applicants may be placed on a waitlist; updates and status of application numbers are posted on the News section of this website. Audition dates are announced in the specific Information links at the bottom of this page for each category. All applicants must live within a 75-mile radius of Pittsburgh. 19 years or younger as of June 30 of the year of audition. 22 years or younger as of June 30 of the year of audition. The program prepared for the audition is expected to be the same program for the recital.